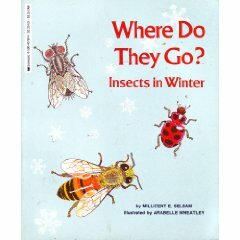 Did you ever wonder where insects go for the winter? 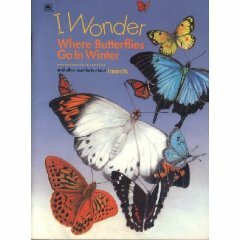 Sometimes insects spend the winter as adults. We found this one hiding in a pile of leaves when we were doing some yard work. 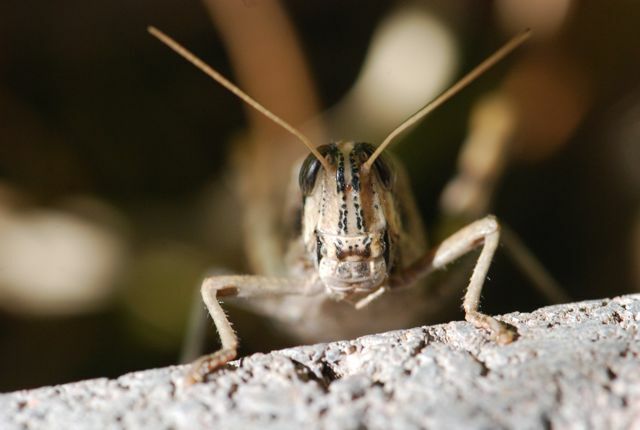 A few weeks ago we found another grasshopper that looked very similar hiding in an old bird's nest that had fallen down. I guess by having old nests and old leaves lying around, we are helping out our insects. Who would have thought?